If marketing is the base for a business to reach its quality, then you are at the right place and at the right time… We have the honor to present My Marketing Agency that will surprise you with its quality and success in every field. My Marketing agency is centrally located in Skopje, Republic of Macedonia, where it has already been proven by its creativity, quality and teamwork. 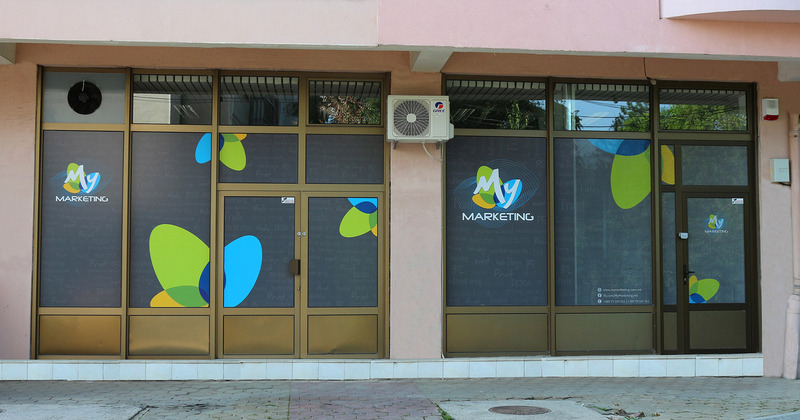 My Marketing Agency is responsible, high-energy company with a passion for achieving great results for its clients, providing real marketing solutions for businesses of all sizes in the Republic of Macedonia. The desire to measure the success of its customers through increased sales is our most important resource. Our effort is to ensure that we have met the needs of our clients by creating strong sustainable marketing concepts, research and solutions that are highlighted in the service of our customers and also to make sure that we have provided materials that are strategic objective in attaining superior and measurable results thereof. Our experienced team in which individuals are empowered to take responsibility, to develop and present their ideas, is dedicated to one goal – the success of our clients. And it is unity at all levels within the organisation that creates a real sense of friendship. My Marketing Agency has a professional marketing system that presents the highest standards of quality and efficiency in the operation, where service, creativity, reliability and integrity are our trademark in every aspect of our work. From offers to advertising, research and achievements, this agency will bring you to the top, where they are currently placed. They have proven the success they have achieved by their successful collaborations with many top-ranking companies throughout Macedonia. So, if cooperation and success is a measure of the quality of a company, then this is more than enough to make sure that My Marketing is your right choice.